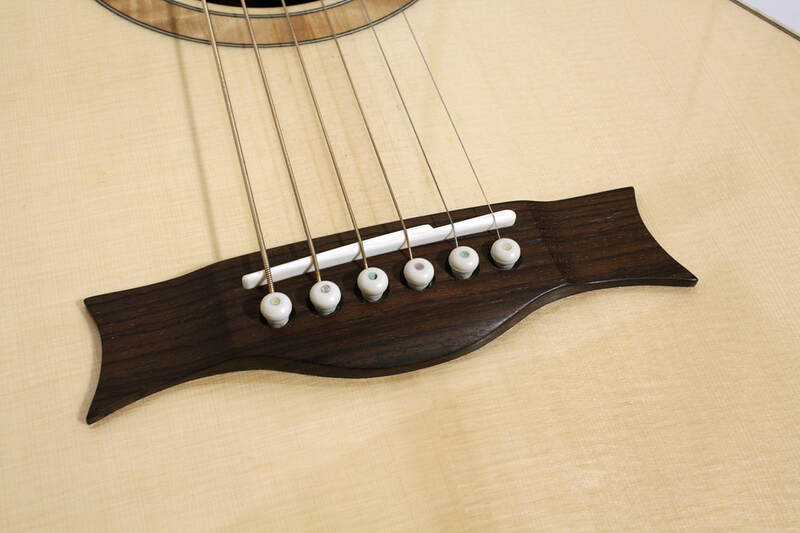 The Martin OM model is claimed to be one of the most versatile combinations of features when it comes to acoustic flattop guitars. 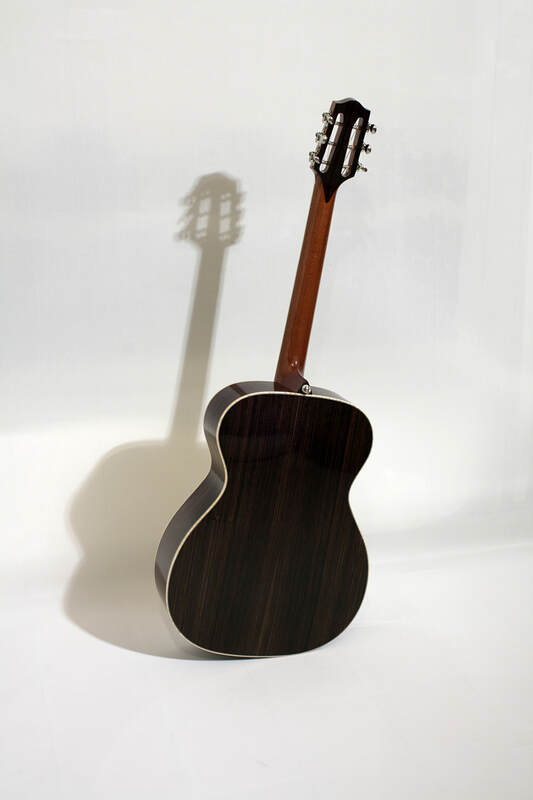 This 000/OM shaped steel-string guitar features a 25,5” scale length and a 14th-fret neck joint. 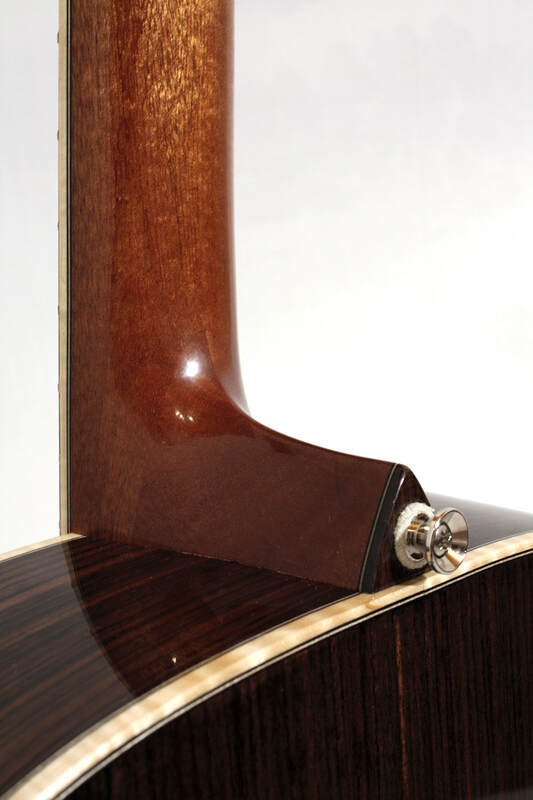 It’s got a mahogany neck, engelmann spruce top and indian rosewood back and sides. 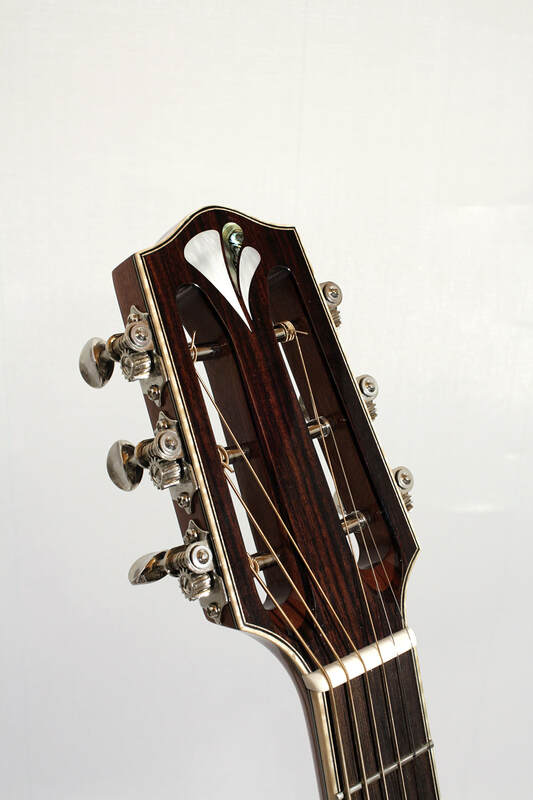 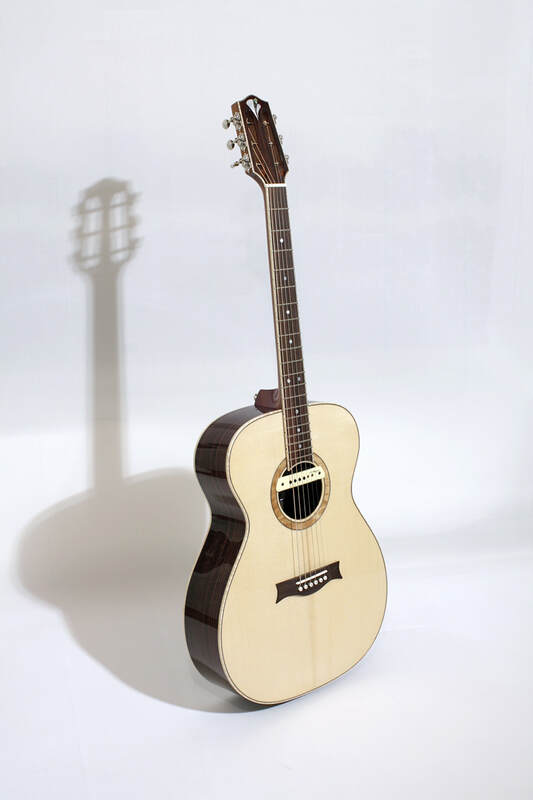 The guitar is decorated with curly maple bindings and mother of pearl inlays on the fretboard and headstock.